When we went birding at the Ford House at the end of September, we were greeted by the unique calls of Red-breasted Nuthatches, who sound like squeaky toys. We heard this sound many times and in many different spots along our walk. This year marks an irruption year for this species. An irruption is a heavy movement of a bird species from their usual wintering grounds. Experts have predicted this particular irruption based upon a lack of food supply in Ontario forests. Listen for the nasal “toot, toot, toot” calls, and check the cones of evergreens. You may just be rewarded with a look at these 4.5” birds, their striking eye lines running from beak to nape, with a distinct white supercilium (“eye brow”) above that. Red-breasted Nuthatches have slaty blue-gray backs and wings and, true to their name, a wash of brick red color on the breast. 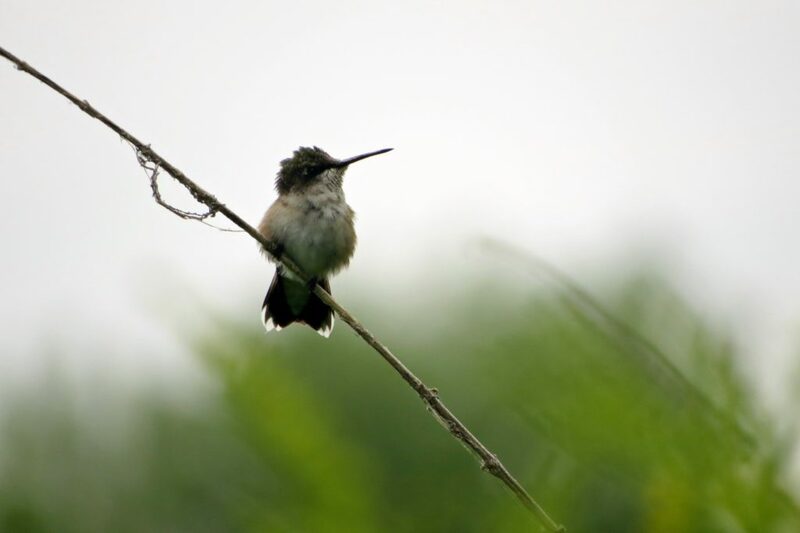 Check out the tail length – it is only slightly longer than their wings. Red-breasted Nuthatches have a distinctive flight pattern, with an undulating movement as a result of quick bursts of the wings, followed by a glide. Watch them in flight and notice the shortness of the tail. These birds are fairly tame and can be watched very closely as they forage for food. In fact, I have had them land on my feeder pole, waiting patiently for me to fill the feeder. Offer them sunflower, suet loaded with peanuts, and peanuts out of the shell to keep them coming back for the fats and protein they will need this winter. Now is the perfect time to try Bark Butter Bits, a small suet nugget that works well in the squirrel-proof feeder shown in the photo below. Spreadable Bark Butter also works well, either spread onto a tree trunk or a bark butter feeder. When feeding in trees, Red-breasted Nuthatches stay preoccupied with cones, extracting the seeds with their long, chisel-shaped beaks. 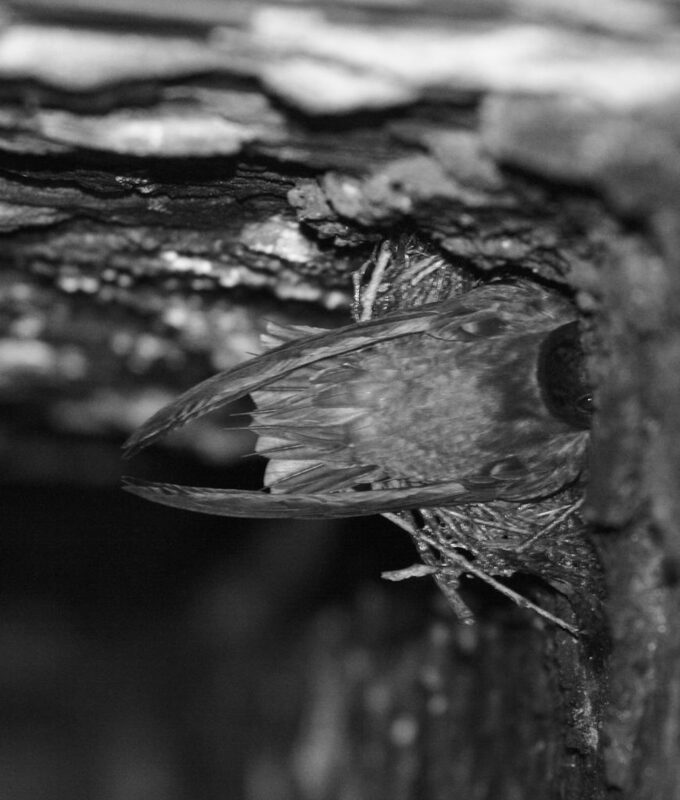 They tend to place seeds in the cracks of tree trunks, using their beaks to chisel the shells away. 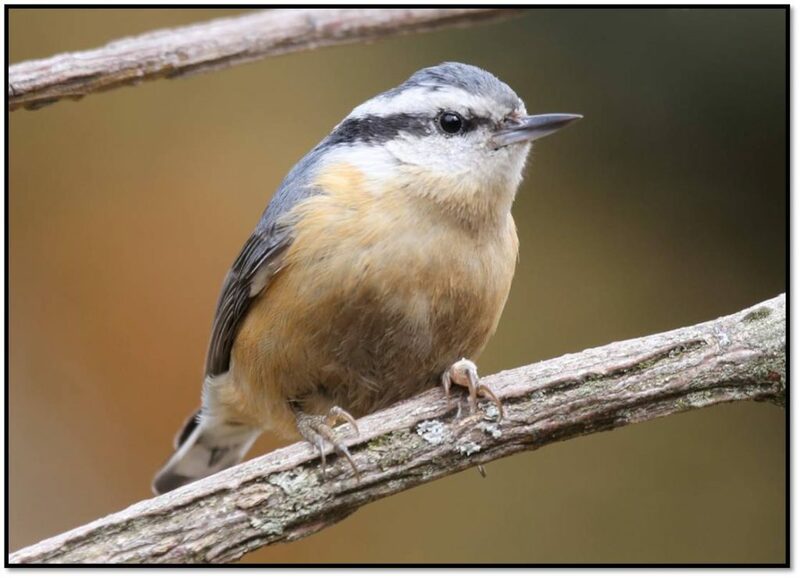 This motion is responsible for the British-derived name, “Nuthatch” as “hatch” was a term used instead of “hack” back when the bird was named. Perhaps the most unique aspect of Red-breasted Nuthatches is their habit of walking down the trunks of trees as well as under the limbs of the tree, in search of insects to consume. The toes of Nuthatches are perfect to accomplish this bark climbing – very long with sharp, long claws for gripping. During winter, it is not uncommon for groups of these birds to shelter together in a tree cavity or nest box to maintain warmth. Remember to keep your nest boxes up after cleaning them, for you may be visited by this little sprite (and a friend or two). Have you joined our email list? Click here to sign up, it’s free and gives you access to sales, coupons, nature news, events, and more! Strutting- this is the action turkeys are associated with most often. Picture those 18 tail feathers fanned out, the slightly iridescent chest and back feathers puffed up, wings spread away from the body and touching the ground. 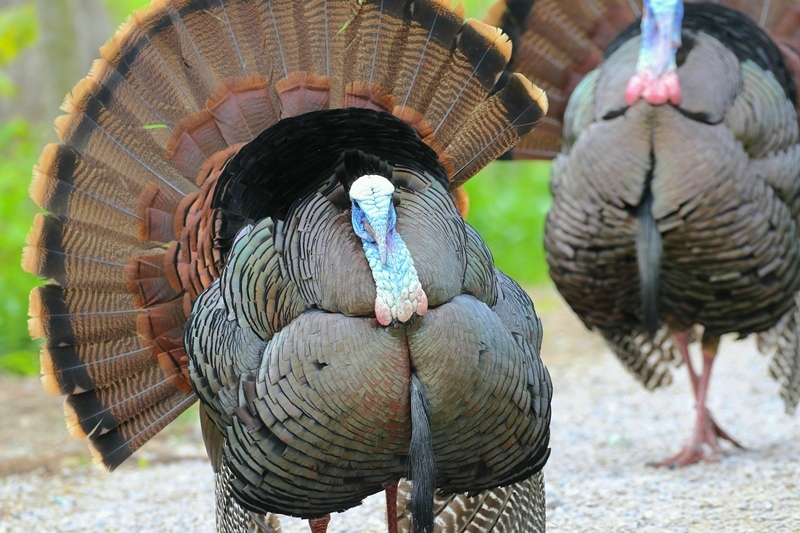 To make the display even more dramatic, the male turkey will place its head and neck down into an “S” shape and elongate the fleshy snood at the base of the beak. 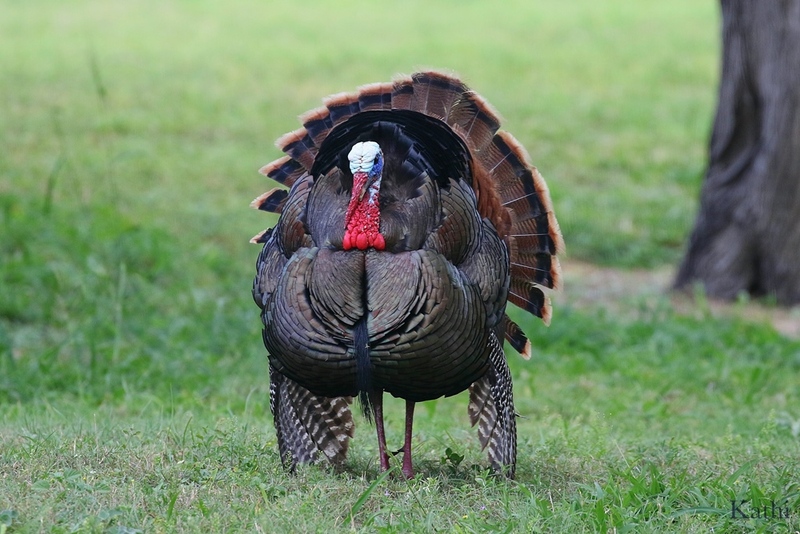 During the strut, the male becomes so excited, the skin on the head and neck, called wattles, become engorged with blood, turning bright red and sometimes obscuring the eyes and beak. All of this is an effort to impress a female so she will choose him and breed with him, carrying his genes forward. Males also use strutting as a dominance display in front of other males. I’ve been a witness to that display, feathers shaking on the dominant male with a telltale rattle, as an attempt to “rattle” his adversary. Males also have a beard of feathers protruding from the chest, sometimes trailing as long as nine inches! Like most birds, females are far less conspicuous in appearance, as they have the duty of laying eggs and brooding them and must stay concealed to protect the next generation. Turkeys nest on the ground, laying a clutch of nine to 13 eggs. Breeding takes place first and the female lays an egg a day on a scrape on the ground. The hen does not sit on eggs until all have been laid. She is fattening up to endure the task of sitting on eggs for about 28 days. 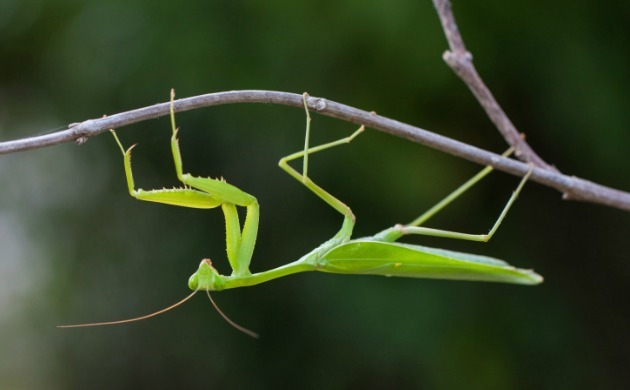 A mid-day break is taken to stretch and consume insects for protein. The most important sense for a turkey is vision, followed by hearing. Used for finding food and watching for danger, turkeys have great peripheral vision and with a turn of their head, can achieve 360 degree vision. Hearing is supplemental and comes in handy in poor light conditions and throughout the night. 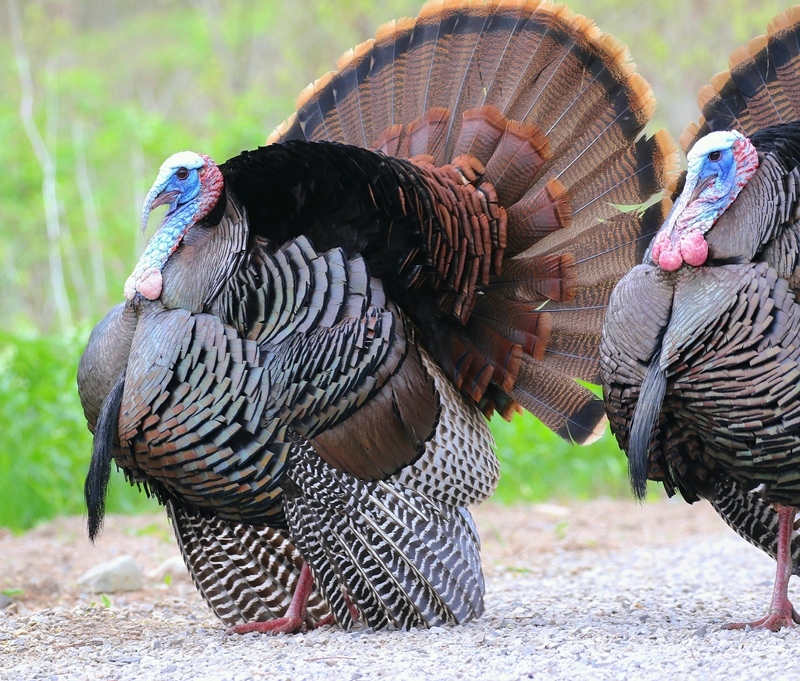 Michigan has a healthy population of turkeys which is on the rise. They had been extirpated from the state and reintroduced with great success. 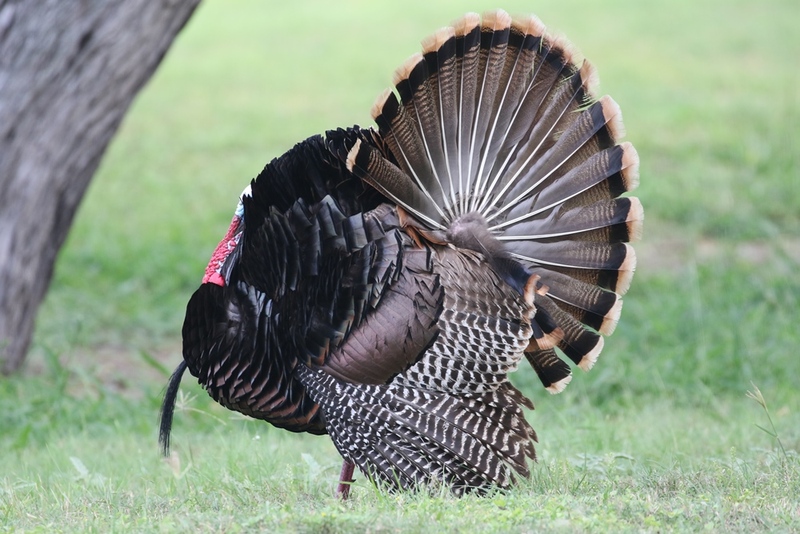 We now have one of the largest wild turkey populations within the United States! If you’d like to see turkeys, check farm fields and woody edges. Stony Creek Metropark is a great local spot to see them on a reliable basis. Go take a visit and enjoy the beauty of these impressive birds. Enjoy your birds and have a Happy Thanksgiving! 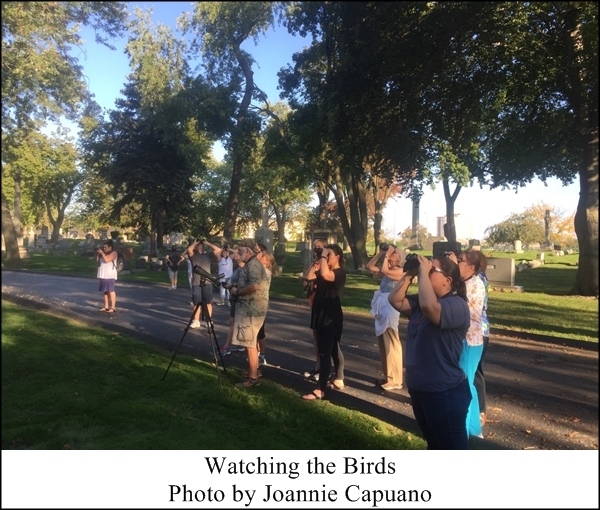 Who would have imagined, a Bird Walk at Elmwood Cemetery on September 20th with 80 degree temperatures!? 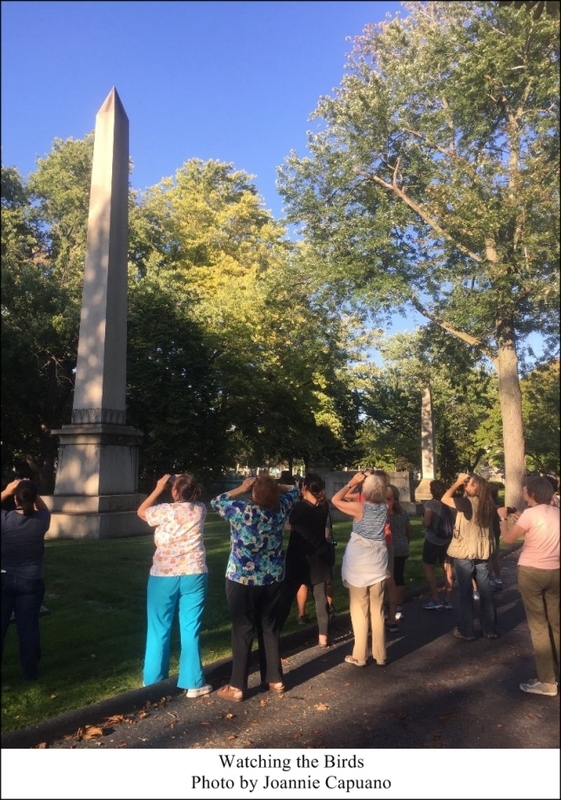 Despite the unusual warmth, our crowd of 15 had a delightful time walking around this historic cemetery – and Detroit’s only certified Arboretum. 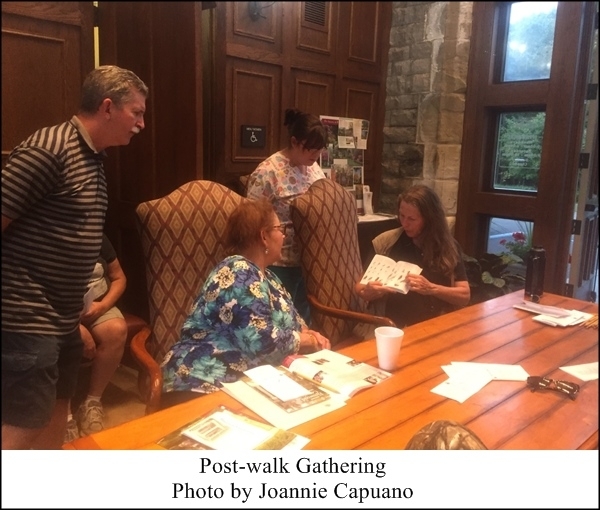 We love our hostess, Joanie Capuano, who fills in the blank on the history of the “who’s who” in the cemetery and what certain headstones mean, and is as engaged in the birds as everyone else. The flycatchers were high in the trees and, with the size of the trees here, that’s way up! Through the scope we were able to identify Great-crested Flycatcher – the rest we chalked up to “flycatcher species”, as they can all look extremely similar. American Robins were in abundance all over the cemetery. The fruit crops here are ideal for them and they were gorging themselves on this energy rich sustenance, perfect fuel for the migration ahead. Our view of warblers and other small birds was in a backlit, dead tree. 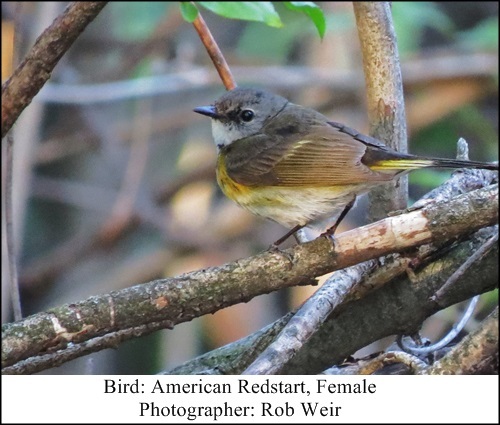 The scope came in handy again as we then had enough light to enable us to see the coloration on the Yellow-rumped Warblers, American Redstart and American Goldfinches that were preening in the late sun. We expected Chimney Swifts and were not disappointed as they flew overhead in steady numbers. 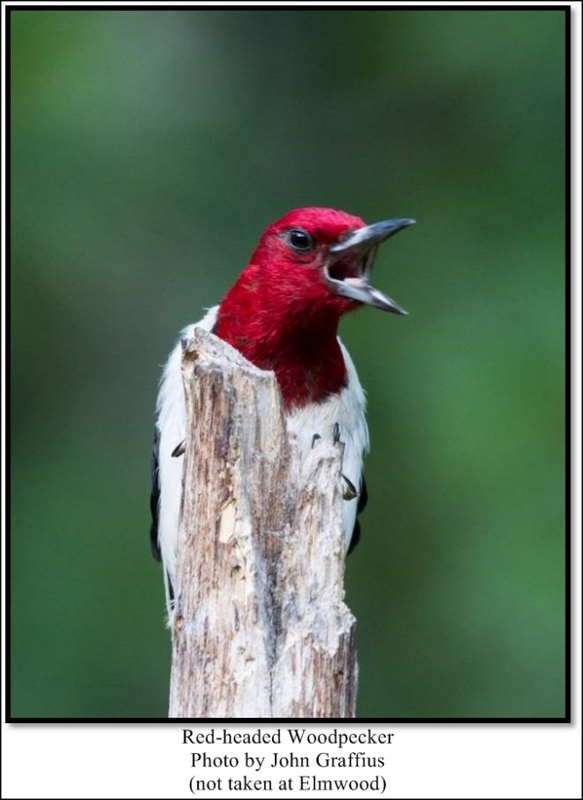 What we didn’t expect, and brought much excitement, was a Red-headed Woodpecker. The unmistakable black and white in flight had me calling out the birds’ name. It then very cooperatively hung out on a silver maple, perfectly poised for most to see through their binoculars and in the telescope as well. The stunning beauty of their crimson head colors never fails to delight me. We were all excited about this rare find. As we were walking our final stretch, the antics of a Belted Kingfisher entertained us. He flew back and forth across the pond, rattling as he flew. Many times he perched long enough for us to view him through the telescope, commenting about his crazy head feathers. We relaxed after the walk, tallying up our species and looking through the field guide to expand upon our experience. A lovely time was had by all! 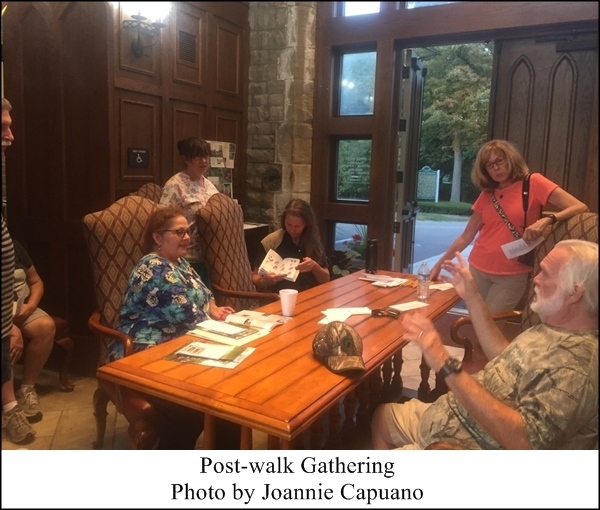 Much thanks to Joanie Capuano for hosting us and to Jim Szelc for co-leading and carrying the scope, a worth-while effort and much appreciated. The onset of autumn is a great time to check your feeding stations for cleanliness and functionality. With feeding the birds comes the responsibility to reduce the risk of disease and illness and keeps pests away (this is good for your birds and for you)! The following tips should help you achieve these goals. This time of year, I find the non-migrant birds such as Chickadees, Cardinals, House Finches, and Nuthatches come to the feeders less often, as they feast on the natural foods that are in abundance. Once those seeds and insects start to lessen, birds look to supplement their diet with feeder offerings. 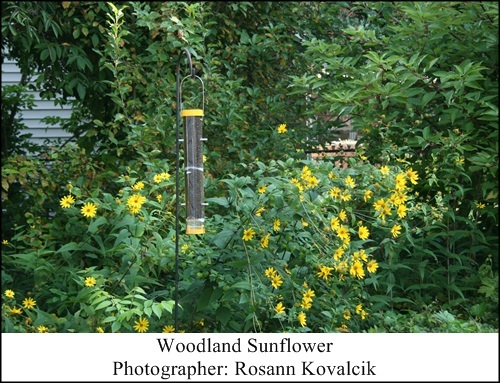 The most favored seed option to offer is black oil sunflower, preferred by more birds than any other seed. Using sunflower as the main seed in a blend and adding other favored seeds including white proso millet will satisfy the needs of the local bird population as well as the migrants. Birds that perch while they eat prefer the sunflower, whereas the ground feeding birds (like doves, juncos, and certain sparrows) prefer the millet that falls to the ground from the feeder. Choosing high-quality seed is the most important factor in crafting your tidy feeding station. The birds toss aside seeds they do not prefer, which leaves a food source for rodents. Check the ingredients within your seed blends and do not buy any blends with wheat, red proso millet, canary seed or oats as these seeds are not high on the list of bird’s favorites. A No-Mess Blend can be the best option for a pest-free, clean feeding station. With no shells under the feeder, there is no place for insects that gather under the decomposing shells. If you live near large groups of House Sparrows, it is definitely a challenge to keep seed off of the ground. If this is your situation, consider feeding only thistle, suet or seed cakes, which leave less mess. Cylinder feeding is another option for reducing seed debris, as the seed stays tightly packed in is cylinder form as opposed to loosely falling to the ground. Regular cleanup efforts can also make for a happier and healthier clean bird feeding station. One way to alleviate messes is to attach a tray to your feeder, which catches seeds scattered by the sparrows and other feeder birds (we’re convinced they are trying to share with their brethren below!). No matter what, there will always be a least a small amount of loose seed which falls to the ground. Try to clean up any seed which has been sitting on the ground for long periods of time, as this can collect droppings, mold, and other germs which can negatively affect the birds. A hardware cloth or screen placed on the ground below the feeders can allow for a much easier cleanup. Simply pull away the cloth or screen, dispose of the seed, rinse or replace, and repeat as needed. Mulch can also be used on top of landscape cloth. When seed collects, roll it up and place dirty mulch and cloth in composting pick-up. Start fresh for the best health of your birds. Cleaning and sterilizing feeders should be done when you notice the feeder is getting dirty, that is whenever feeders have an accumulation of bird droppings. A good soak in some warm water will loosen all of the dirt that builds up in most tube feeders. 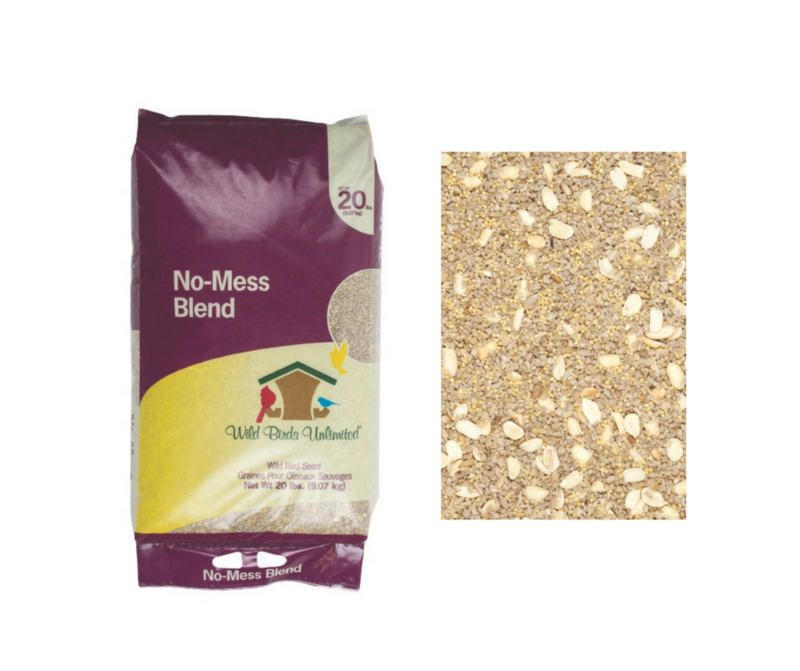 We carry an excellent soy-based cleaner that works very well to clean feeders of oil that builds up as a result of seed as well as removing the accumulation of dirt. 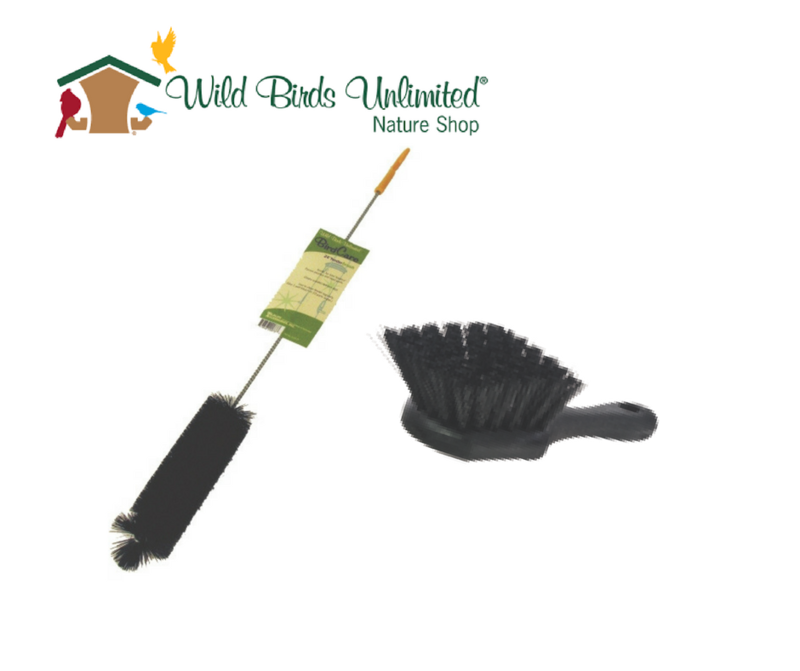 We also carry cleaning brushes with soft bristles, allowing you to scrub without scratching the feeders. To sterilize, add one part of vinegar or chlorine free bleach to ten parts water. Always rinse thoroughly and then let the feeder dry completely before filling. With a wooden feeder, follow the same steps without a prolonged soak. A good alternative to wood is the recycled plastic feeders that are now being made. The plastic does not allow organic material to grow as readily as wood does. Store seeds in galvanized cans inside of the garage or a shed. Storing seed in the house can be a bad idea, as the higher temperatures of our homes can prompt cereal moths to hatch. These moths come from eggs laid in the seed shells of the sunflower plant as it grows in the field. We recommend galvanized cans, as rodents are able to chew through plastic. Whether the little teeth of mice or the larger teeth of squirrels, plastic is ineffective at keeping rodents out. I hope that these tips help you to enjoy the influx of fall migrants as well as the continued visits of your local birds. Their wings quiver in flight, swift and shallow, as they maneuver to catch insects. Feeding “on the wing,” they capture flies, bugs, wasps, and other insects. Chimney Swifts spend more time flying than other species of birds. They copulate in flight, and drink and bathe in the rain while flying. They do stop flying to sit on eggs and to roost at night for sleep. Chimney Swifts previously nested in caves and hollow trees. With the advent of chimneys on this continent, they acclimated to this new hollow for nesting purpose as well as using air vents, old wells, silos, barns, lighthouses, sheds and other similar structures. 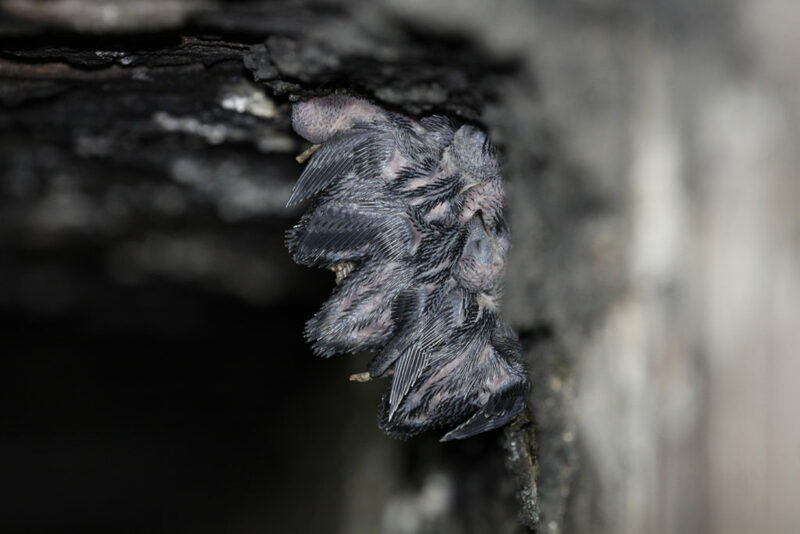 The nest of a Chimney Swift is a work of art. Both parents contribute to the nest, breaking off small twigs with their feet while flying through branches, and returning to the nest site with the twigs in their bills. 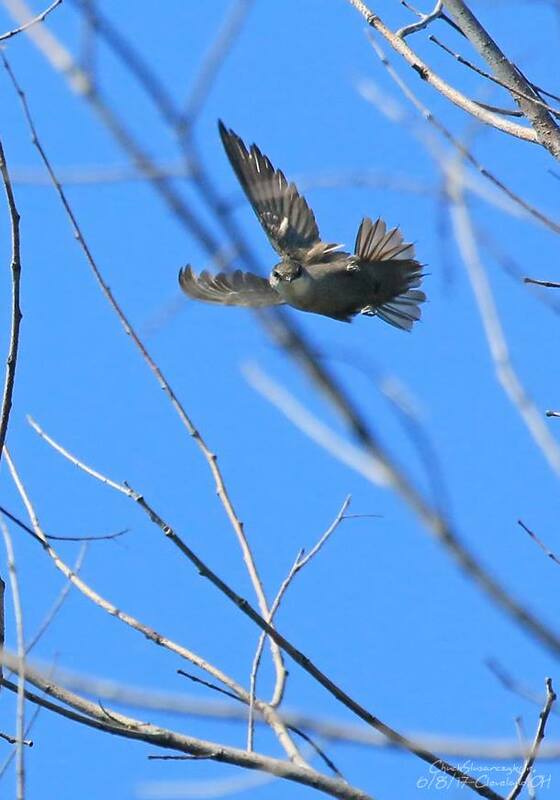 The bird in the photo above is slowing down to be able to break off a twig with its’ beak while in flight. 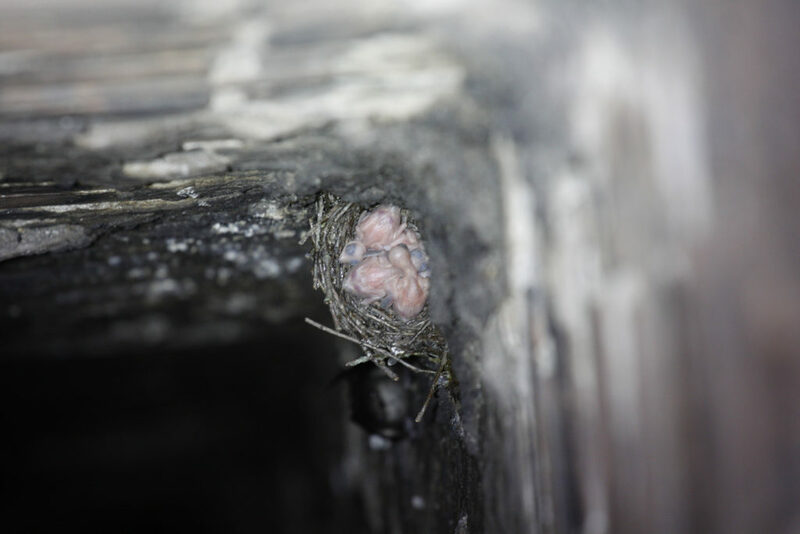 The young outgrow the nest and cling vertically to the walls while the parents continue to feed them for another 14 – 19 days. At that point, they launch themselves out to flight and join their parents. Shown below, these same nestlings are older but not yet ready to leave the nest. Look at how they are crowded together and all facing the wall of the chimney. Large numbers of Chimney Swifts roost together in a single chimney during the non-breeding season. During cool nights, the numbers of birds together may raise the temperature inside the roost to 70°F warmer than the outside air. The largest known Chimney Swift roost in North America is on Grand River in Farmington Hills. There, up to 50,000 swifts can be seen dramatically diving down into the 150 foot chimney stack of the former LaSalle Winery at dusk. 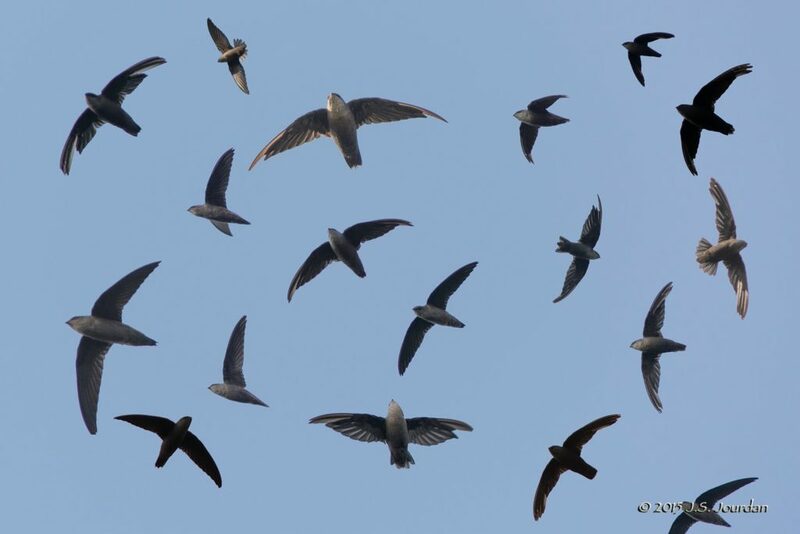 Mark your calendar and join Detroit Audubon for “Swifts Night Out” on September 23rd and 24th – See you there! In the meantime, look to the sky and you will certainly be rewarded with the sight of these fascinating birds as they race their way across the sky. Wait! Wait! Don’t Clean Up Your Yard! Getting our yards ready for birds in the winter includes cleaning and filling our feeders with quality bird food, high in fat and protein. It also includes looking at our gardens and learning what to do and what not to do to make them optimal places for birds. As part of our desire to clean, we may engage in leaf raking and cutting back our perennials that are no longer in bloom. Here are reasons why we should consider modifying these fall clean-ups. Many insects over-winter and can survive freezing temperatures as eggs, larvae, pupae or adults because they produce an anti-freeze (glycerol) in their bodies. This glycerol keeps the water in their tissue cells from freezing and ripping the cell walls. Many of our insects lay their eggs in the twigs of favored plants. For example, some katydids use their ovipositors to glue rows of eggs to viburnums and dogwoods, while others pierce the stems of goldenrods and asters in order to lay the eggs inside, safe during the winter months. The same is true of the Miridae (plant bugs), Cicadellidae (leafhoppers) and Berytidae (stilt bugs), which are all great food sources for our birds. We are familiar with the epic Monarch Butterfly migration, but did you know that most of our butterflies spend the winter here as chrysalids? These chrysalids are attached to sticks and stems in your butterfly plants, suspended by silken pads that are spun into vertical structures or horizontally on stems. The Tiger, Spicebush and Zebra Swallowtails all spend winter in this way. If you clean out your flower beds, you are cleaning away the butterflies. Instead, leave them until spring when they will emerge as beautiful adults. Another type of butterfly, the Fritillaries, spend the winter as a first instar larvae in the plant litter that surrounds violets. That way, they are ready to use the violets as their food source in spring. Cleaning up the fallen leaves within your violet patch cleans away this type of butterfly. Regarding raking leaves, if you imagine how many butterfly larvae are in your fallen leaves, perhaps you could consider raking them into an area of the yard for the winter months. Placing leaves in a pile, or mounding them under your hedgerow or evergreens, and placing them on top of perennial beds will give the larvae of these butterflies a chance to survive and mature. Sending the leaves to the curb for pick up creates the opposite result. In late spring (end of May), the butterflies can emerge and your clean up can begin. Galls (abnormal outgrowths of plant tissue) are home to tephritid flies, as well as many other species including wasps, aphids, and midges. These insects are sources of food for Black-capped Chickadees and Tufted Titmice, both species capable of hanging on and chiseling into the gall for the insect inside. Hollow stemmed plants and the bases of tall grasses are also places where native bees may hibernate through the winter – another reason not to clean up. 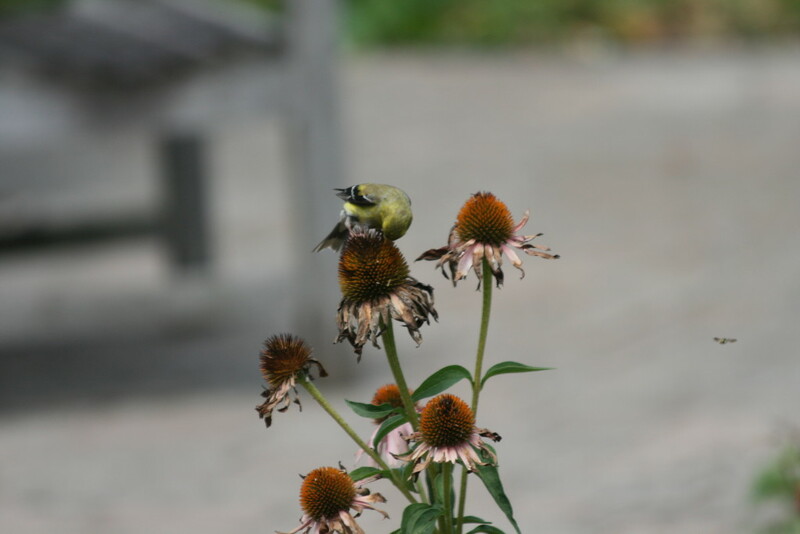 Many of our seed-bearing plants such as Coneflower (Echinacea), and Black-eyed Susan (Rudbeckia) have seeds that have not been eaten and are ripe in autumn, just in time for the young goldfinches to be feeding upon them. The other day, I watched a patch of my bird-friendly garden, which was mostly brown instead of colorful, and yet the number of goldfinches feeding was astonishing to me. I counted seven of them in a little patch no larger than ten feet square. Birds have rods and cones in their eyes which allow them to see that the seeds are ripe and ready to eat. By many garden standards, these plants would have been cut back, taking away the food source that is critical for these birds this time of year. Leaving these plants without cutting them back not only provides a food source, it also adds winter interest to the garden. Snow and frost can be beautiful on these plants. Our resident winter birds are great at finding these protein rich food sources. Watching them in your winter garden among the plants you leave is very educational and entertaining. So sit back and enjoy the extra time you gain by not doing fall clean up – watch the birds instead! What’s in the Yard for Fall? This time of year can be so relaxing and rewarding in our yards because of the changing bird activity. 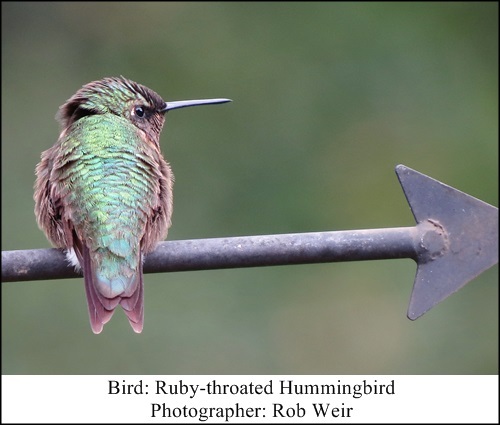 The number of Hummingbirds reported here at Wild Birds Unlimited in Grosse Pointe Woods reveals that there is a good population of them in many yards. This is their time of year to fatten up at feeders and flowers as they make their way back to Mexico or in some cases, as far south as Costa Rica. Hummingbird feeders should be kept up through mid-October, the latest date that we get reports of hummingbirds. Goldfinch numbers also swell as youngsters accompany their parents, making their presence known by the constant “chippee, chippee”, their begging call for food. In many yards, feeders have every perch taken by a Goldfinch. In the tall coreopsis and the woodland sunflower that grow in my yard, the Goldfinches gather by the dozens to gorge themselves on the bounty of seeds that are now available on these flowers. 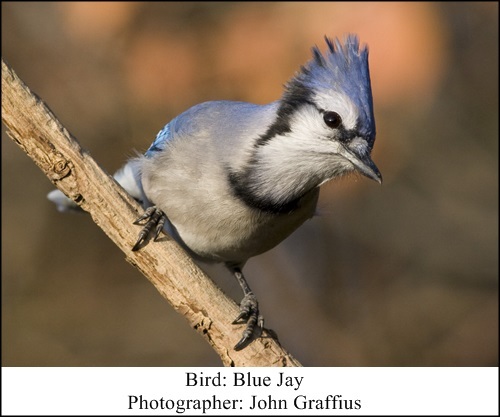 Blue jay vocalizations are also more prevalent as they begin their southward journey. I always hope that a few will decide to make my yard a part of their winter habitat. Just the opposite of the increasing blue jay screams, most of the resident birds have become silent. The Cardinal still sings early in the morning, but only then. No more days filled with the songs of the Robins, interspersed with the “coo” of the Morning Dove and the “fee-bee” of the Chickadee. The Chickadees are still vocal but in a different way. Their territorial call has been replaced with contact calls. Now we hear “dee-dee” or “chickadee”, which are both sounds Chickadees use to let the rest of the flock know their whereabouts. Did you know that the more times a Chickadee uses the “dee”, the more urgent is the message to the rest of the flock? When I was outside very early the other day, I heard a chorus of “dee-dee-dee-dee-dee” being repeated more than once, and from more than one bird. I could also hear the raspy alarm calls of the Baltimore Orioles that were just at the feeders. Then the Blue Jays joined in and that’s when I knew this was serious. My experience tells me to follow these alarm calls, binoculars in hand. I located the place where the birds were frantically calling and flitting about. I began to scout each branch in the tall oak in front of my house. 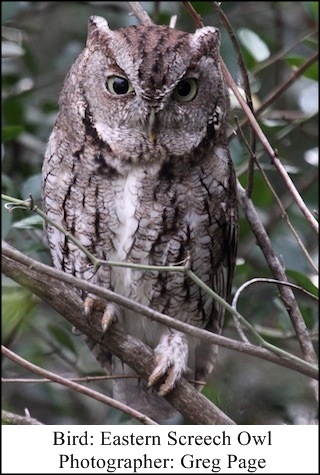 Sitting all huddled up as if to say “Leave me alone!” was an eastern Screech Owl. How cool is that. The poor thing endured many more minutes of scolding. When a light drizzle started, all of the songbirds scattered as if they were concerned over getting a little wet. With the cooler temperatures that we have been having this August, I have been sleeping with windows open so that I can greet the day with the sounds of birds. Promptly at 6:50 each morning, a number of Orioles begin to verbalize – beautiful clear whistles accompanied by their chatter. I’m sure some of these are siblings arguing over the mounds of jelly that I put out for them the night before. What a feast for my eyes to see males and females as well as juvenile plumage. There have also been a number of warblers migrating south this time of year. Watch for them gleaning insects from the evergreens and deciduous trees. I’ve had Wilson’s Warbler and American Redstart eating insects as well as visiting the birdbath – the noise of dripping water gets them every time. At dusk, some of us may live in an area where we can watch the spectacle of blackbirds gathering in large flocks. These flocks are comprised of Red-winged Blackbirds, Grackles and Cowbirds. They usually choose large trees as a roosting area for the night. It can be interesting to watch them as they drop into the trees and then listen to their version of a nighttime lullaby, which our human ears might label as squawking and screeching. Take the time to watch for new fall migrants as well as seeing our resident birds settle into fall flocks and fatten up after a hectic summer of breeding. You never know what you might see. In search of an adequate food supply to raise a family, thousands of Baltimore Orioles will migrate from Central America to Michigan this spring. 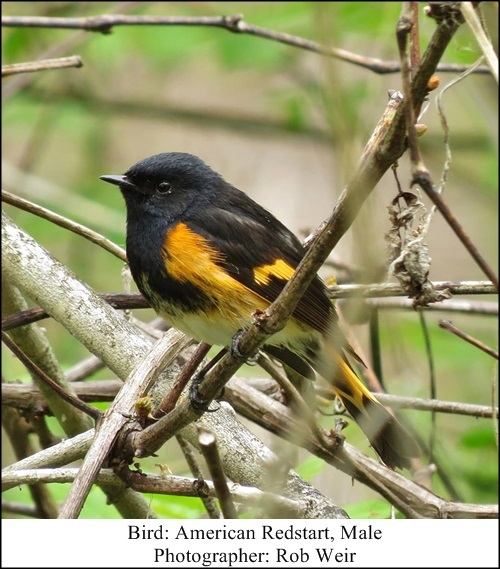 What does it take to attract these vibrantly plumaged orange and black birds to our yard? When the male arrives, he is in search of a territory that will provide the basics – food, water, shelter and places to raise young – those elements allow him to carry on his genetics, the sole purpose of migration. Undoubtedly, you will hear Orioles before you see them. 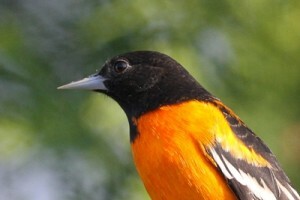 The male Baltimore Oriole’s song consists of a short series of paired notes, repeated 2–7 times, lasting 1–2 seconds. The pure, liquid, flutelike sounds have a full, rich tone. Once you accustom yourself to its song, you will be able to search for them visually. Orioles can be found in open woodlands, woodland edges, and riparian woodlands and in our shade trees in suburban neighborhoods. They do not prefer deep forests. The habit of Orioles feeding at treetop level inspired consummate birder Pete Dunne to nickname them The Eastern Arboreal Oriole. So why the nickname? This is a bird that is wedded to dense leaf canopy. Males sing from exposed perches to warn other males of proclaimed territory. Both the male and female will land on the tallest point of a tree before slipping into the dense canopy to begin foraging for insects including the caterpillars that emerge to eat the unfurling new growth on trees. Oak trees in particular offer more diversity of caterpillars than any other tree in South East Michigan. While an oak may not mature to full size during your lifetime, planting it for its food value to birds is an investment in the future of birds. Orioles eat many pest species, including tent caterpillars, gypsy moth caterpillars, fall webworms, spiny elm caterpillars, and the larvae within plant galls. 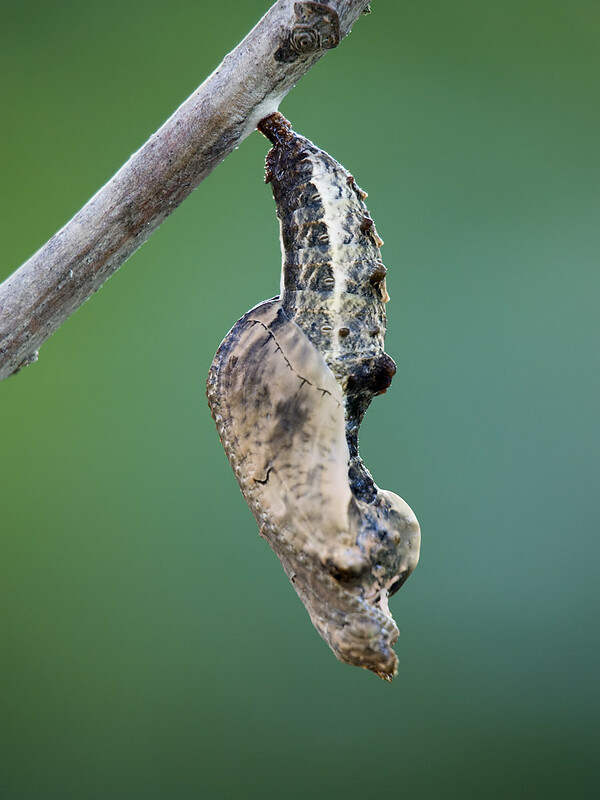 Larger caterpillars may be a challenge for some birds. The Oriole has many strategies for eating them once they are too large to consume by swallowing whole. The birds’ beak is quite pointed and is used to slice through the exterior of a caterpillar, allowing the bird to eat the nutritional insides. Orioles often have a feeding limb, a favored place to feed, as can be attested to by the number of dried caterpillar skins that are accumulated on the branch. Orioles eat other insects as well including beetles, crickets, grasshoppers, moths, and flies and non-insects including spiders, snails, and other small invertebrates. Baltimore Orioles sometimes use their slender beaks to feed in an unusual way, called “gaping”: they stab the closed bill into soft fruits, and then open their mouths to cut a juicy swath from which they drink with their brushy-tipped tongues. Fruits that are especially attractive to Orioles are those that are dark in color. A variety of these plants can offer the high lipid fat that the birds need for fall migration – dogwoods, chokeberry, elderberry, and viburnums. Native plants grow native caterpillars in abundance and therefore, are the perfect choice when planning your bird-friendly yard. Orioles also have an early spring feeding strategy– they will drink from the wells of sapsuckers. These woodpeckers create purposeful holes to encourage sap to run, which in turn attract insects, an additional food source for the birds that take advantage of the sapsuckers work. 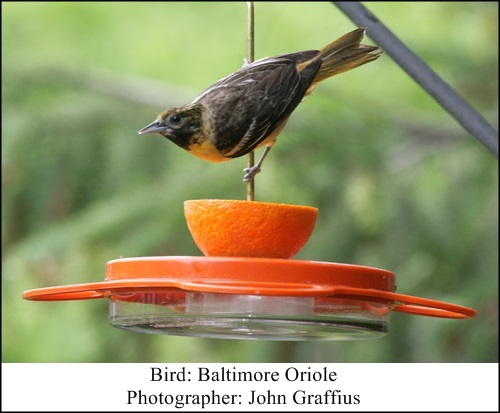 For a closer look at orioles, you can place feeders in your yard that offer the same types of foods that orioles find in the wild. Dark grape jelly can be offered in plastic and glass dishes, oranges can be placed on pronged feeders and nectar feeders will round out the offerings. Mealworms are another great food source to place out for Orioles – they will take them back to their young as well as bring the young to the feeders once they are fledged. 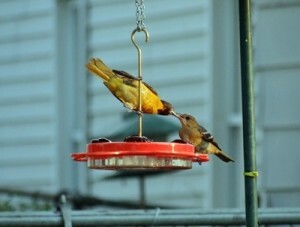 Your oriole feeding station will be most successful if it is not near other feeding stations. 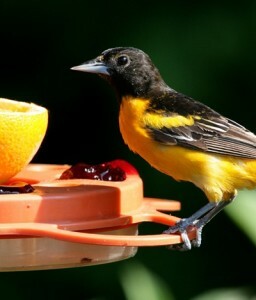 Your feeding station should be set up the first week of May to attract the abundance of Orioles that migrate at that time. Once migration is over and the local birds have established their territory, you may find that the mated pair (or two if you are lucky) near your home can be very skittish at feeders. As a bonus, other birds will enjoy these offerings including House Finches and Cardinals. Female orioles are responsible for the building of the nest that will hold their eggs and resultant young, usually four in number. Long strips of plant material are the backbone of their nest. Most frequently they use milkweed and dogbane, clipping the plant at the base just above where they are holding it firmly in their feet. Pulling up, they create strips that are then flown to the nest site and tied in place. Leave last years’ milkweed and dogbane standing into the spring so that these birds can utilize them, or clip it and add it to your nesting material basket. Elms were the favorite trees of orioles for nest building before Dutch elm disease took its toll on them. 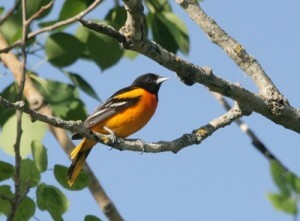 Now, orioles favor maples, willows, poplars and oaks for nest to be hung from. Placed at the tip of branches, the sock-like structure has the advantage of being difficult for predators to reach. The nest is a work of art, a suspended pouch woven as two separate walls. The female uses a shuttling motion to create the walls and then stitches the two halves together. The inside plant material can consist of dandelion fluff, the downy material from willows and poplars and short strips of grape bark. 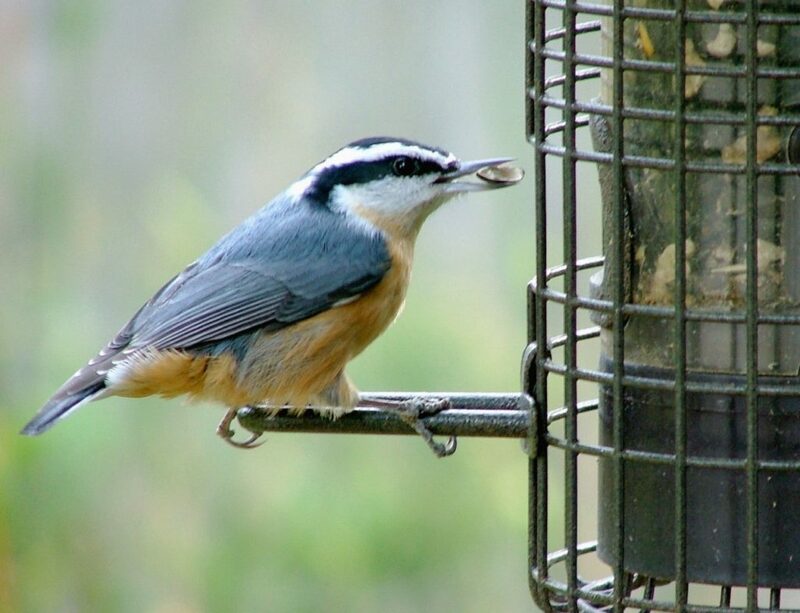 Natural materials can be placed in a suet basket and placed where you can enjoy these beauties helping themselves. 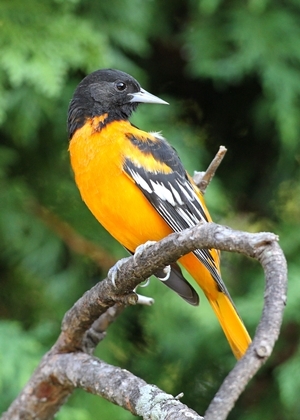 Short strips of natural fibers (avoid polyester), human and pet hair, and string may be used by orioles in nest construction. Fishing line and dryer lint are two materials not to be used. The fishing line is too thin and can easily entangle the bird. Dryer lint has materials that will hold moisture and would cool eggs and babies instead of keeping them warm as natural materials would. The female builds the nest over a period of about eight days. Nests are not reused, although some of the nesting material might be used in the new structure. Males keep a watchful eye on the female as she works, mating with her when she allows. Incubation is done by the female entirely, lasting a period of 12 to 14 days. Both parents feed the young for the next two weeks, during which time the naked hatchlings develop into fully feathered adult sized birds. Now it is the male’s turn to take over as the young follow him for lessons on where to look for food. The female spends her time eating to regain the weight she lost and preparing herself for fall migration. 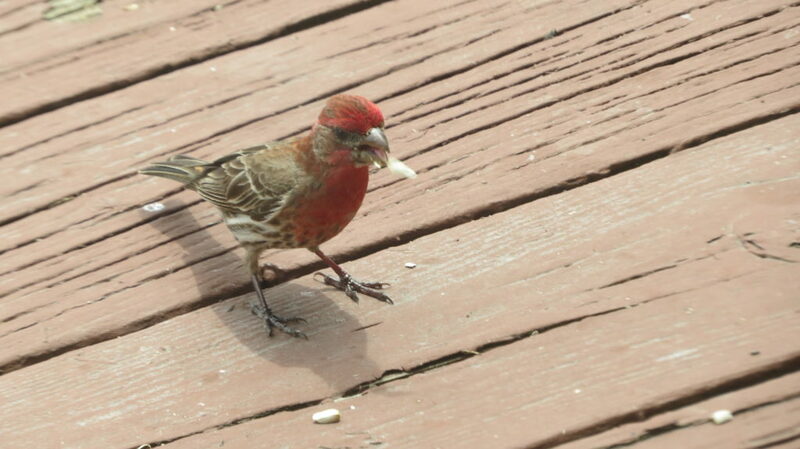 We are happy to share photos of a male feeding his youngsters mealworms! 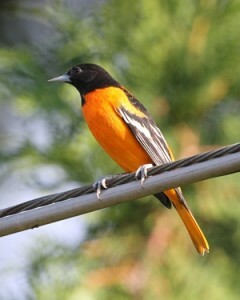 Orioles leave early back to their southerly home, our yards quieter without their songs as early as the end of August. Well worth the effort to attract, Orioles make our time in the yard a special time indeed! Let’s talk about the importance of cleaning your bird feeder At Wild Birds Unlimited, of Grosse Pointe Woods, Michigan, we know with the change to cooler temperatures, many people will be getting their yard ready for fall and winter wild bird feeding. 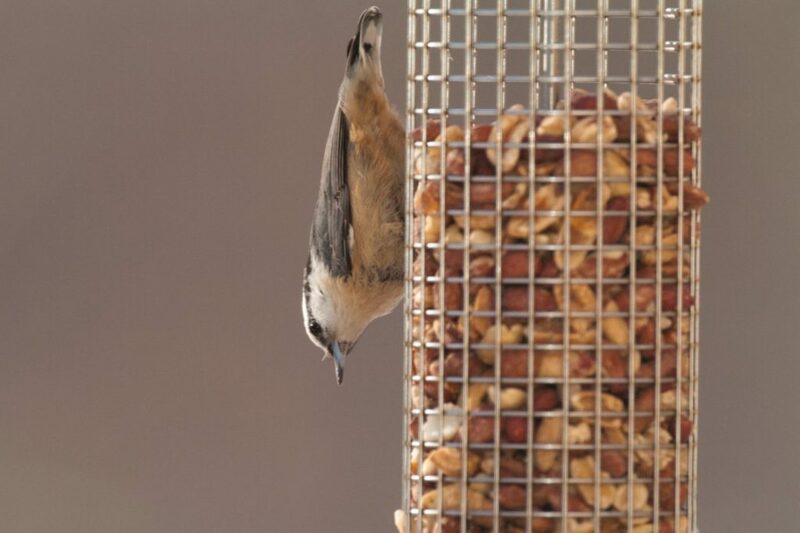 At Wild Birds Unlimited of Grosse Pointe Woods, we can help you review your feeding strategy in order to get the most enjoyment from the hobby of bird feeding. Good, quality seeds are the staple of any feeding station in the colder months. Once natural seeds have been depleted, birds will look to supplement their diet with the bird seed at your feeders. The most favored seed is the black oil sunflower, favored by more birds than any other seed. Using sunflower as the main seed in a blend and adding other favored seeds such as safflower and white proso millet will bring in all of the resident birds. Birds that perch while they eat prefer the sunflower and safflower, whereas the ground feeding birds prefer the millet that falls to the ground from the bird feeder. Before you fill your wild bird feeder, make sure that it has been cleaned and sterilized. A good soak in some warm water will loosen all of the dirt that builds up in most tube feeders. The soft bristles of feeder brushes allow you to scrub without scratching the feeders. To sterilize, add one part vinegar or bleach to ten parts water and let the feeder soak for at least ten minutes. Always rinse thoroughly before letting the feeder dry completely and filling. With a wooden feeder, follow the same steps without a prolonged soak. Make sure that the placement of your bird feeders allows birds to fly to cover in the form of bushes or evergreens in the event that a cat or a hawk pursues them. If you use a number of bird feeders, it is a good idea to keep some distance in between them so that the birds are not competing with each other for space. Offering seeds at a lower level for the ground feeding birds by using a platform feeder will give those birds their own space as well as keeping the seed dry. 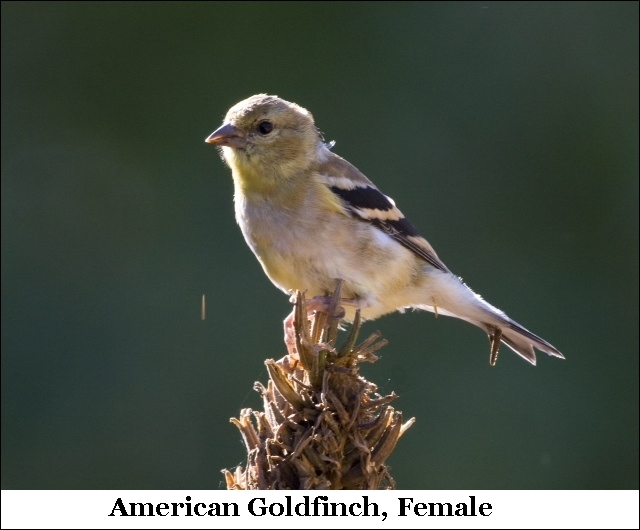 Thistle, or nyger, is the seed of choice for American Goldfinches and other winter finch visitors. Suet is the favored bird feeding station delicacy if you are trying to satisfy woodpeckers, chickadees and nuthatches. This high fat food goes a long way in keeping birds fueled with the energy that they need. In the colder months, birds don’t necessarily need different foods; they just need more of it! Don’t be surprised to see your feeders empty more rapidly in response to the dip in temperature. 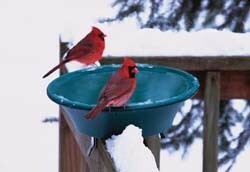 Water is a necessity for birds all through the year and winter is no exception. Heaters can be added to existing baths or, complete baths with a heater built in can be purchased. And then, there is always the daily ritual of taking the hot water out each day and replacing the frozen water with this new source! Whichever you use, your birds will appreciate this necessity of life being provided to them. One of the most forgotten elements of a favorable winter habitat is shelter. When the temperature drops and the wind increases, birds need shelter more than anything. Evergreens can provide this element but if your yard lacks them, consider adding a winter roost box or a birdhouse. I was delighted to learn that this years’ fledged downy woodpecker has been using a birdhouse that I placed in my yard. Every night at the same time, he lands on the roof and looks around, and once “The coast is clear”; he enters the house for shelter through the night. There are roost boxes that can be placed within the yard to provide shelter for a number of birds at one time. Sharing body heat, the chance of survival increases for those birds that roost together. 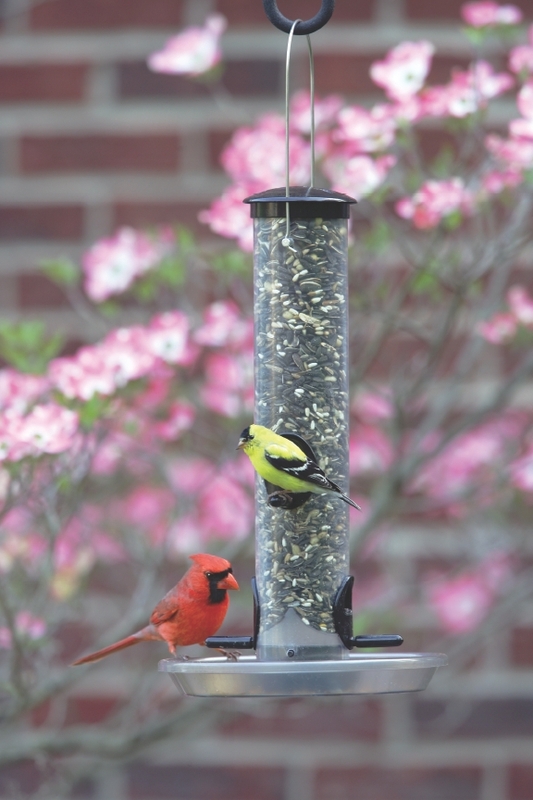 From your point of view, the placement of bird feeders is all about your point of view. If you situate them where you can’t enjoy them, bird feeding will become a chore as opposed to a hobby for you to enjoy. Ask yourself where in your home you are most likely to sit and watch the birds. Don’t rule out the side or front yards if they are where you find yourself looking out the window. 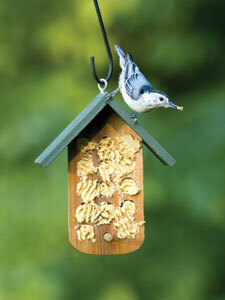 A small window bird feeder added to the kitchen is another way to enhance the hobby for your enjoyment. Feel good about yourself for providing for these fragile creatures during this time of challenge for them. 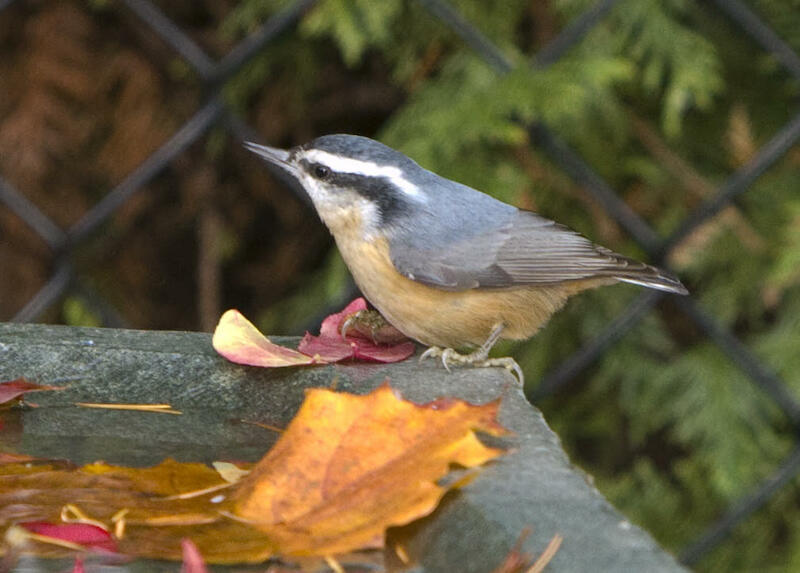 This fall can be so relaxing and rewarding in our yards because of the changing bird activity. 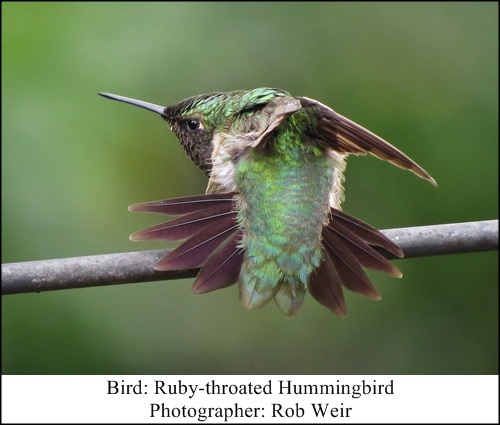 At our Wild Birds Unlimited in Grosse Pointe Woods, we are hearing from customers that they are seeing a good number of Ruby-throated Hummingbirds, visiting both flowers and hummingbird feeders. This is their time of year to fatten up before they make their way back to Mexico or in some cases, as far south as Costa Rica. Hummingbird feeders should be kept up through mid-October in Michigan, the latest date that we get reports of these birds. Goldfinch numbers also swell as youngsters accompany their parents, making their presence known by the constant “chippee, chippee”, their begging call for food. In many yards, finch feeders have every perch occupied with a Goldfinch. In the tall coreopsis and the woodland sunflower that grow in my yard, the Goldfinches gather by the dozens to gorge themselves on the bounty of seeds that are now available on these flowers. Blue Jay vocalizations are also more prevalent as they begin their southward journey. I always hope that a few will decide to make my yard a part of their winter habitat. Just the opposite of the increasing Blue Jay screams, most of the resident birds have become silent. The Cardinal still sings early in the morning, but only then. No more days filled with the songs of the Robins, interspersed with the “coo” of the Mourning Dove and the “fee-bee” of the Chickadee. The Chickadees are still vocal but in a different way. Their territorial call has been replaced with contact calls. Now we hear “dee-dee” or “chickadee”, which are both sounds Chickadees use to let the rest of the flock know their whereabouts. One bird that has a significant increase in numbers is the House Sparrow. Every day we hear from customers that they have huge clouds of House Sparrows descending on every bird feeder available. Surely, this is one of the most successful breeders that we have locally. At least other birds notice the sparrow activity, so perhaps some seed eating migrants will see the crowd and join in as they migrate through the area. This is also the time of the year to look for Eastern Towhees and White-throated Sparrows. Some customers of WBU GPW have reported Rose-breasted Grosbeaks at their seed feeders, always a welcome visitor. There have also been a number of warblers visiting yards. Watch for them gleaning insects from the evergreens and deciduous trees. We’ve had Wilson’s Warbler and American Redstart eating insects as well as visiting the birdbath – the noise of dripping water gets them every time. 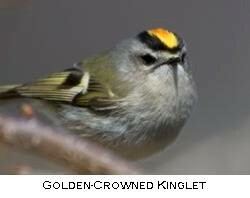 Other insect eating birds that we may see in our yards include the Ruby-crowned Kinglet and the Golden-crowned Kinglet, both of which flit about in a way that makes you believe they are spending more energy than they are getting from the insects they are gleaning from trees. At dusk, some of us may live in an area where we can watch the spectacle of blackbirds gathering in large flocks. These flocks are comprised of Red-winged Blackbirds, Grackles and Cowbirds. They usually choose large trees as a roosting area for the night. It can be interesting to watch them as they drop into the trees and then listen to their version of a nighttime lullaby, which our human ears hear as squawking and screeching. Take the time to watch for new birds of fall migration, as well as seeing our resident birds settle into fall flocks and fatten up after a hectic summer of breeding. You never know what you might see.